Railway electfrication requires substations at intervals along the line, to supply power to the overhead wires. Third rail electfrication requires frequent substations, but 25kV needs far fewer. 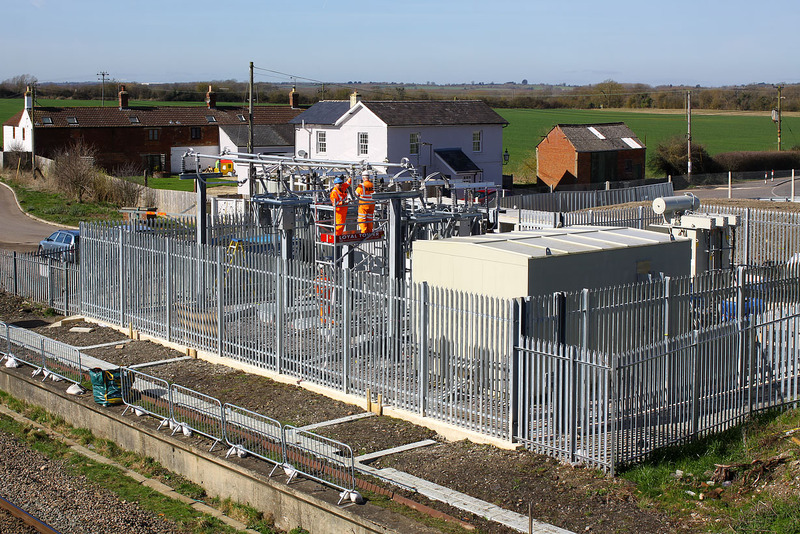 This is a view of the substation being built on the site of Shrivenham station, to supply power to the new Great Western Mainline electfrication. Note that despite all the work that has gone on since the station closed, the platform is still in existence, and looks set to remain. The white building in the background is the former Victoria Hotel, latterly the Fat Dog restaurant, and now a private residence. Photo taken on 13 March 2017.